I built a working hovercraft using cardboard and a shop vacuum in 30 minutes. 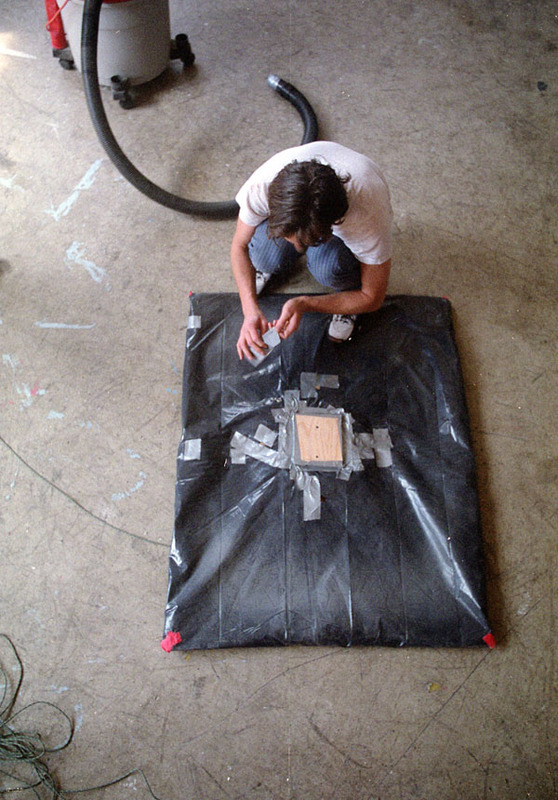 You can build a hovercraft quickly and easily using cardboard, duct tape, and a vacuum. There are excellent instructions available on the Internet. 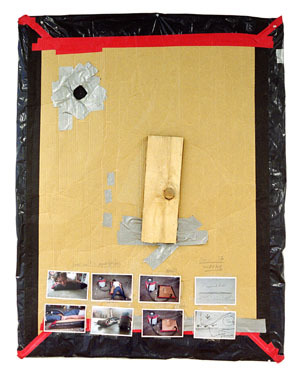 I adapted these standard instructions by substituting cardboard for plywood. In fact you build a hovercraft out of most anything that's more or less airtight. You can ride your hovercraft outside by using a gas powered leaf blower instead of a vacuum. Don't use a leaf blower indoors because they are very loud and create smoke. One problem you will encounter outside is that there are few flat surfaces. Tennis courts work well. If you try to ride on the road you will quickly end up in the ditch since roads have a convex surface that keeps rainwater from building up. I showed a hovercraft at the Portland Institute for Contemporary Art in 2000. 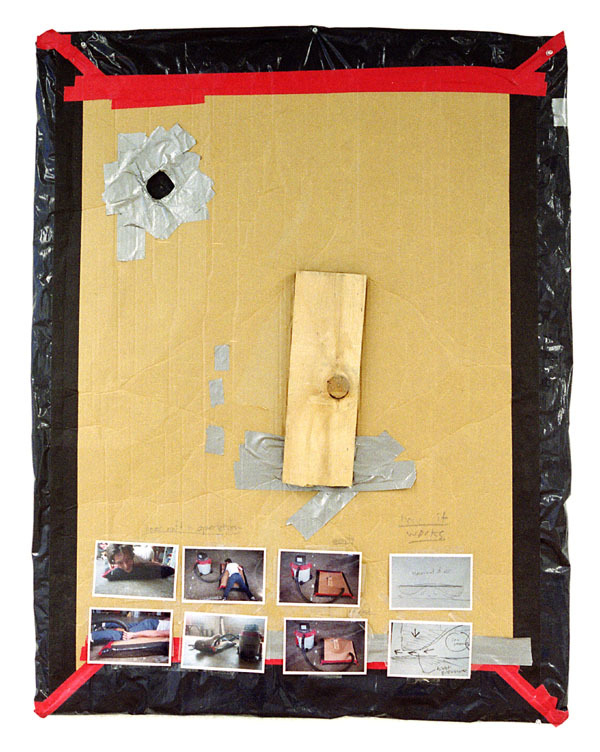 I displayed the hovercraft on the wall with some photos and drawings taped to it.